The objective of this study is to investigate the effects of adding PDMS and Ag nanoparticles on chemical and physical properties of silica xerogels as well as release behavior of progesterone. 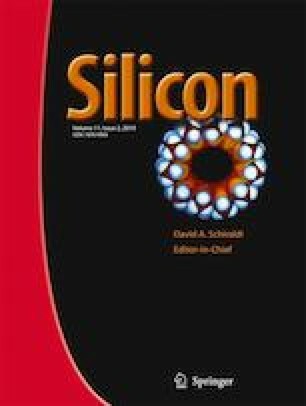 Pure silica, silica-PDMS, silica-Ag nanoparticles, and silica-PDMS-Ag nanoparticles xerogels were prepared using a sol-gel method as progesterone delivery systems. Tetraethoxysilane (TEOS) was used as silica matrix precursor, polydimethylsiloxane (PDMS) and Ag nanoparticles were used as additives. In vitro studies showed that progesterone had biphasic release profile and diffusion was the dominant releasing mechanism. Also addition of PDMS and Ag nanoparticles controlled the release rate of the drug. According to in vitro experiments, due to existing Ag nanoparticles in Silica-PDMS-Ag nanoparticles xerogels, these xerogels presented antimicrobial behavior against Escherichia coli as gram-negative, Staphylococcus aureus as gram-positive standard bacteria and Candida albicans. This study showed that these xerogels could be used for local delivery of progesterone besides inhibiting infections by silver nanoparticles. This work was supported by the Faculty of New Sciences and Technologies, University of Tehran, Iran (No. 28771/06/02). Also, the participation of R. Tolouei (Department of Mycology, Pasteur Institute of Iran, P.O. Box: 131694-3551, Tehran, Iran) in the experimentation is gratefully acknowledged.